Paris & Champagne over the holidays! These are independent vacations. No groups. Option to include private transfers to/from Paris train station and train tickets. 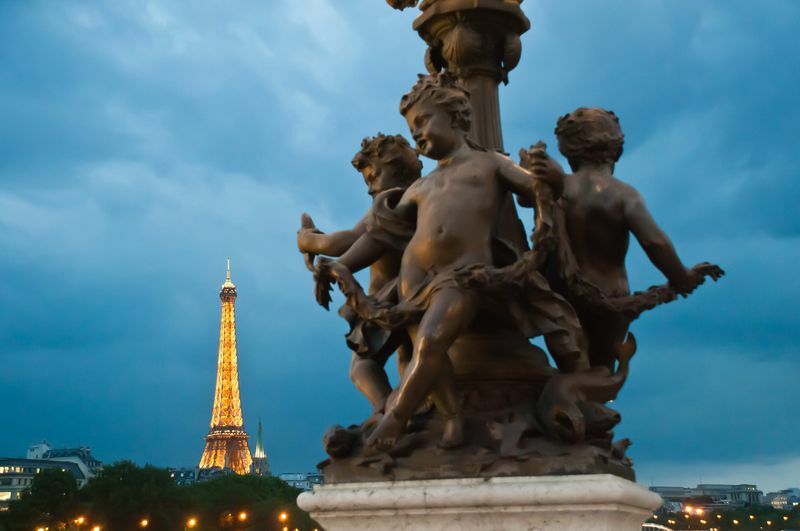 Paris only starts at: $2,500 pp/dbl room for 3 nights, breakfasts, private car transfers, 1 privately guided tour of your choosing and extras. Your choice to include moderate or luxury lodging for the 7 night trip and whether to include Loire. Pricing based upon those decisions. Train tickets not included. Flights not included. Some people say they like to snuggle up at home for the holidays. But those people haven’t come to Paris with us! Paris literally sparkles over the holidays. The entire city is filled with decorated trees. The sparkling Eiffel Tower takes on new meaning. Museums beckon. Markets line major boulevards and squares. In December, specialty treats abound. Truffles, chocolates, foie gras, scallops and oysters, Champagne, delicate and intricate desserts…We love to lead an "off the beaten track" pastry and chocolate tastings of the tip top of each sort of pastry. But, if you want to do it on your own, the Los Angeles Times has a few pastry hints for you too. So, put some sparkle into your holidays and visit Paris for New Year's. Available year around. We have a variety of trip lengths and price ranges are available for you. Contact Wendy for more details.